Over the past few decades the three major truck manufacturers have been battling it out over who was engineering the best work truck, has the best in class payload or wins hands down this year for all around best truck on the market for towing capacity. The newest truck on the block is the 2019 Ram 1500 and it has all the bells and whistles today’s consumers demand plus some extra sugar and spice to make everything nice along with a cherry on top just for added measure. 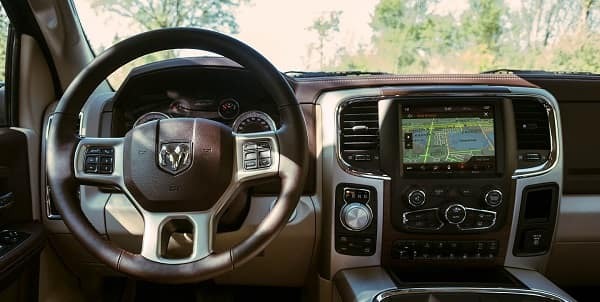 The interior of the 2019 Ram 1500 is super luxurious, spacious and completely loaded to the gills. While the interior is posh it also dropped almost two hundred and twenty five pounds but still managed to add to its payload and towing capacity. 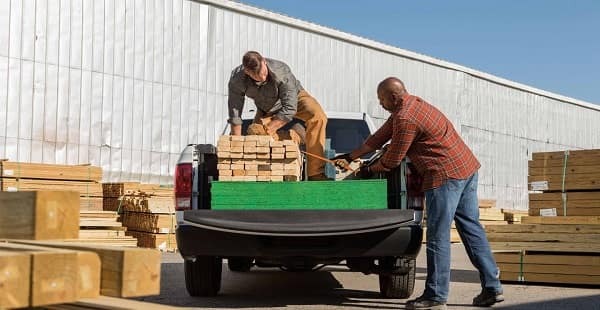 The 2019 Ram 1500s payload capacity is up to a max of over two thousand three hundred pounds and a total towing capacity of over twelve thousand seven hundred twenty pounds. The way pickups were used in the past are gone and the 2019 Ram 1500 is here to bring in the modern version of what the pickup means to the future of truck ownership in the twenty first century. Take the short drive from Tinley Park, IL into Mancari Chrysler Dodge Jeep Ram in Oak Lawn, IL and test drive the totally new, re-engineered and revolutionary 2019 Ram 1500 today! First and foremost the 2019 Ram 1500 dropped two hundred and twenty five pounds and gained payload and towing capacity while reducing wind resistance and gaining better aero dynamics and fuel efficiency with a re-engineered front end. The interior is completely overhauled with leather wrapped seating if you so choose or fine quality cloth seating that both can be heated and ventilated plus reclining and adjustable and not just the front seats but rear seats as well. New and updated solutions for storage are integrated into the 2019 Ram 1500 that are highly creative and intuitive such as the “RamBins” and the bed liner storage bins and the highly talked about center console home office storage center that can fit files, an entire laptop, a tablet, cell phones, drinks, food and much more. 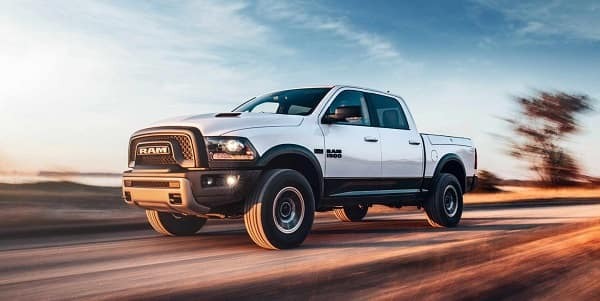 There is so much brand new on the 2019 Ram 1500 that it is easier to say that the only things that are left over from the Ram 2018 models are the steel bed and the Hemi engine, and just about everything else is going to be new to Ram owners to love anew. Performance is the key when you’re talking about one of the best trucks on the road today. Mancari Chrysler Dodge Jeep Ram in Oak Lawn, IL can’t wait for you to see the brand new 2019 Ram 1500 so take the short drive from Tinley Park, IL and feast your eyes on this beast today! At Mancari Chrysler Dodge Jeep Ram dealership we have great lease and finance specials that save our valued customers thousands of dollars off the price of their new and used vehicles and our expert finance team combines them with hard to find local and regional manufacturer incentives to save them even more of their hard earned money. You can visit our vehicle specials page on our website at https://www.mancari.com/offers-incentives/ or come in and talk to one of our knowledgeable sales staff today. Our finance specialists are highly educated and have decades of experience working with the financial institutions and will get you into the vehicle of your dreams no matter what your credit history has been. Whether you have great credit or not so great credit, visit our finance center on our website at https://www.mancari.com/finance/ or stop into Mancari Chrysler Dodge Jeep Ram in Oak Lawn, IL and talk to one of our expert finance team members who can have you driving home the vehicle of your dreams today. Why Buy From Mancari Chrysler Dodge Jeep Ram in Oak Lawn, IL? At Mancari CDJR we are dedicated to loyal and honest customer service and have a strong commitment to our local and surrounding communities. We are a family owned and operated business and want you to come and join the Mancari Chrysler Dodge Jeep Ram family of dealerships today. We look forward to serving you!